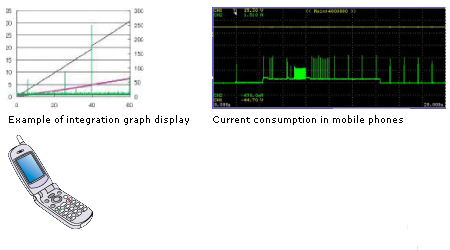 You can measure power consumption in mobile phones, batteries, and other equipment powered by dry cells. 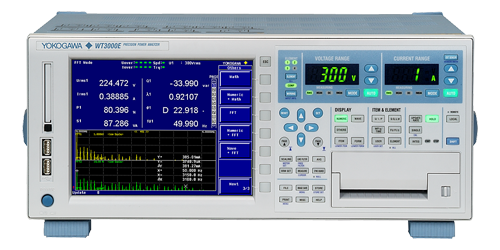 You can perform a variety of operation tests for reducing power consumption by using the current or power integration function. This offers a powerful means of evaluating instruments, such as for checking control modes for lengthening battery life. Use the 2A input element for small current consumption.